Voodoo 13's Rear Toe Arms. 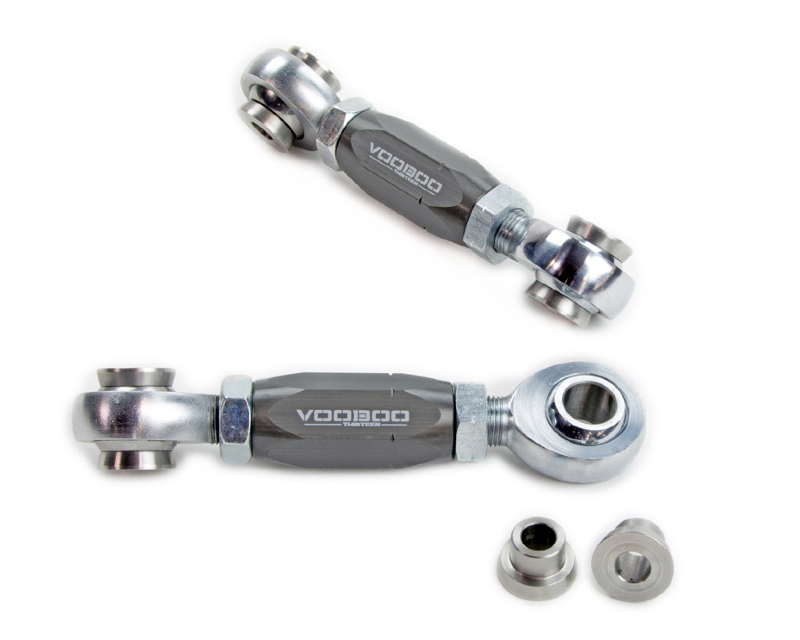 Voodoo 13's adjusting rod is made from high strength 6061-T6 aluminum which is then treated in MIL-A-8625 Type III Hard Anodize. Stainless steel spacers are CNC machined in house to fit seamlessly into the heim joints. Grade 8 zinc coated jam nuts ensure durability for years to come. All of Voodoo 13's products are engineered, manufactured, and assembled at Voodoo 13's Gilbert, Arizona facility using only the best materials from US suppliers. Grade 8 zinc coated jam nuts ensure durability for years to come.